There’s just something about fireworks that adds that extra touch of magic at the end of your Disney day, right? No matter how many times you see them they’re still amazing! Magic Kingdom, Hollywood Studios, and Epcot all put on amazing fireworks nightly synced with music and different shows within the park. And while the very best view of these you’ll have is in the parks, there are also some GREAT viewing spots outside of the theme parks for those days on your trip when you didn’t buy a ticket into one of the three parks with firework shows (or even if the kids couldn’t hang on late enough for the show — hey, it happens!). 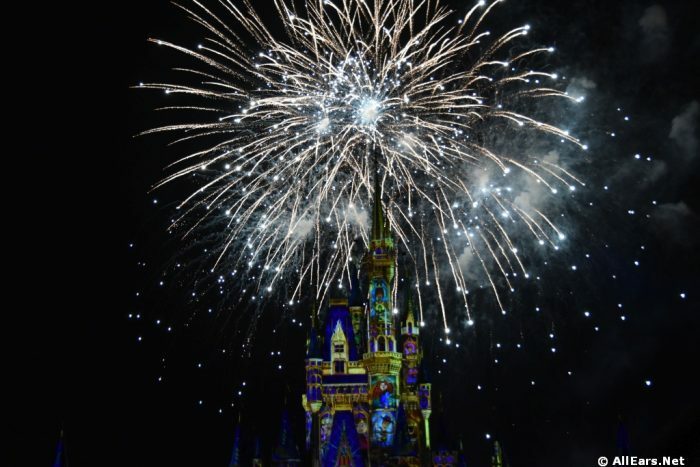 If you just can’t get enough fireworks, here are our top picks for places to watch Walt Disney World fireworks shows outside of the parks. The fireworks alone in Happily Ever After are incredible, but when viewed along with the music they’re truly goose bump-worthy! That’s why our top outside-the-park viewing areas for this show give you the chance to hear the music, too. While all of the Magic Kingdom resorts are a great choice for the fireworks show, we love watching from the Polynesian Village Resort because of the straight-on view you’ll get of the castle and all the surrounding fireworks. And of course the ambiance is great, too! There’s plenty of room on the beach to watch, but also ample sidewalk space and even grass for those who don’t love sand. As an added bonus, you can even grab a Dole whip at the Pineapple to enjoy before, during, or after the show. With a spectacular view of Cinderella Castle, the Grand Floridian offers a slightly offset view of the fireworks along with an atmosphere you’ll love. For the best viewing spot we recommend the Marina area, stretching from Gasparilla Grill to the boat launch dock. For a sky-high view of the Magic Kingdom fireworks, head to the observation deck at the Contemporary Resort‘s California Grill. Due to fire code restrictions, those who want to access the observation deck either need to have a dining reservation or be a customer of the bar and lounge (which is first come-first serve and can get crowded during the time of the firework show). HOWEVER you can also visit the California Grill Lounge anytime during the evening and if you keep your receipt, you’ll be allowed back up the elevator before the fireworks show starts. 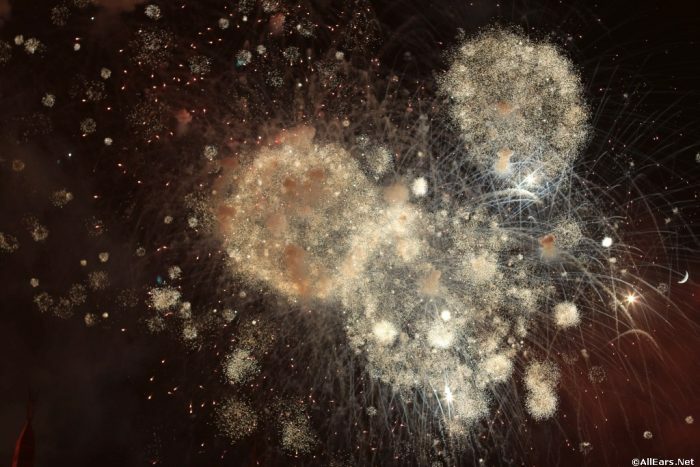 If buying food or drinks to see the fireworks show isn’t in your plans, you can also access the fourth floor observation area that’s open to the public and still offers great up-close views. For a great view of the Fantasmic! 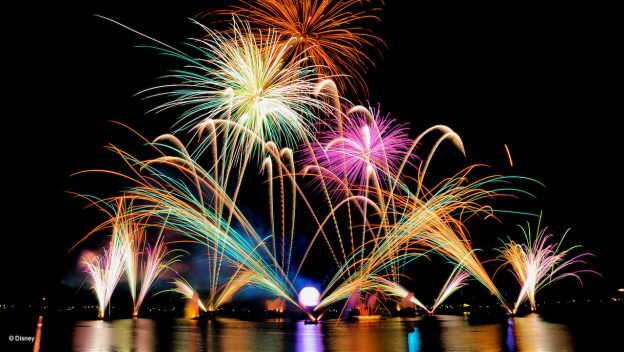 Fireworks at Hollywood Studios, we recommend heading to the Epcot Resort Area, specifically Disney’s Beach Club and Yacht Club resorts, along with Disney’s Boardwalk and the Swan and Dolphin resorts. 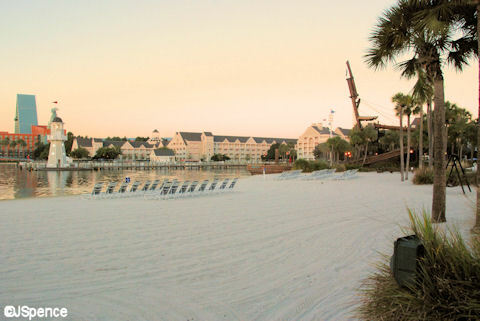 We think you’ll find one of the best settings at the beach of the Beach Club resort — dig your toes into the sand and maybe even find an open beach swing to kick back and enjoy the view. 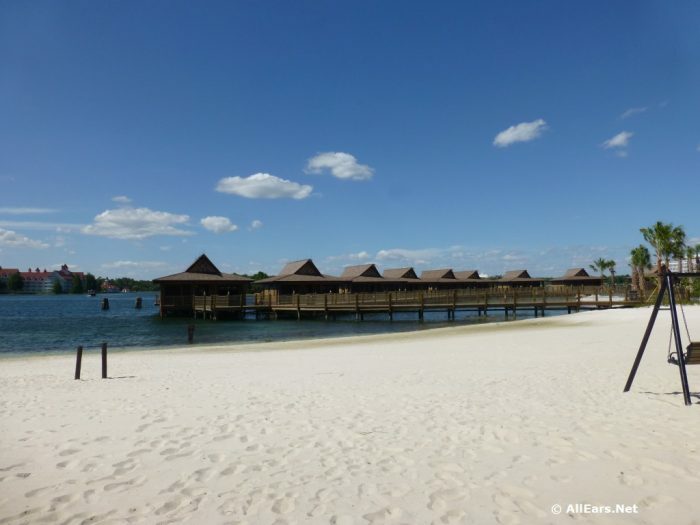 If a sandy view doesn’t sound enticing, you can stroll anywhere along the boardwalk that makes a full circle around the lagoon. And if you really like walking, you can even consider taking the walkway that connects Epcot and Hollywood studios along the canal while you enjoy the fireworks show. One of the newer shows at Hollywood Studios, Star Wars: A Galactic Spectacular certainly does have some spectacular fireworks! These fireworks are usually a bit more visible than those from Fantasmic! since they are higher in the sky, which means you can get a great view of them from farther away. 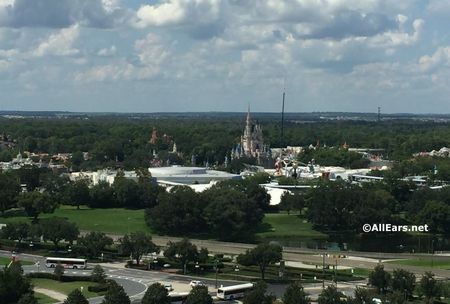 While your best close-up view will probably still be from the Beach Club, Yacht Club, Boardwalk, or Swan and Dolphin shore areas, you can likely catch a glimpse from other resorts like Art of Animation and Pop Century. Our recommended place for catching a view of Epcot’s IllumiNations fireworks is the walkway bridge that connects the Boardwalk and Beach Club resorts — it’s about as close as you can get without entering the park! For a treat and a show, grab some ice cream at Ample Hills Creamery or Beaches and Cream before it starts. 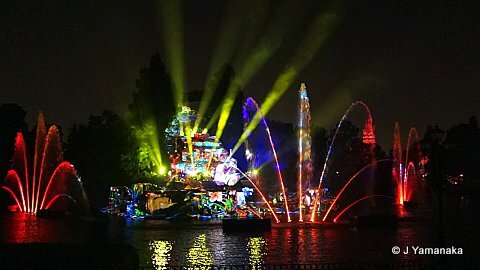 Now you know the best spots to watch the fireworks from outside the parks, here are our best suggestions for getting there! If you want to visit a Disney resort you’re not staying at to watch the fireworks, you’re able to drive your own car there and park, but typically only if you have reservations at a restaurant located at that particular resort. If you’re not up for eating a full dinner just to watch the fireworks with a good view, consider making a reservation just for dessert! Plus, reservations after the dinner rush are usually easier to come by (and easy to make with the My Disney Experience app). 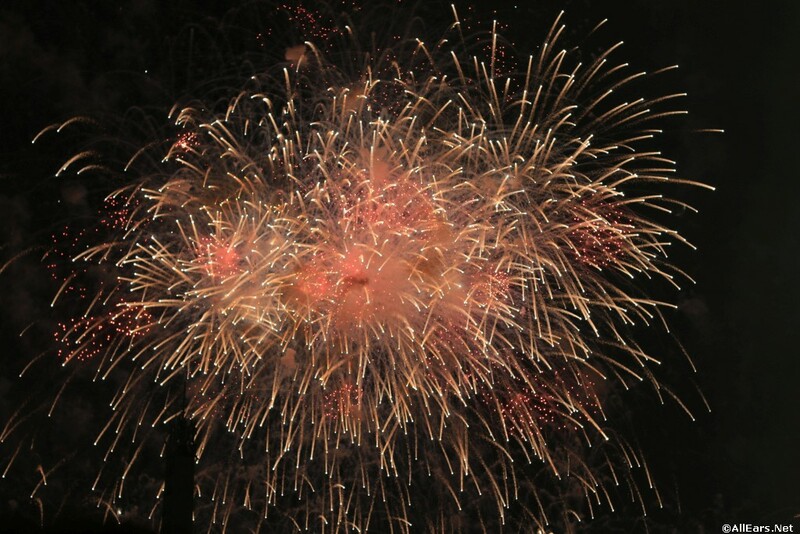 Resorts usually will allow you to park a couple hours before your reservation as well, so if you make a reservation for dessert at 8:45, you can easily park, stroll around the resort to find a great view of the fireworks show at 8, then enjoy a sweet ending to the night afterward with dessert. If you’re staying at a Disney resort but want to visit a different resort for a good fireworks view you’ll have at least one (possibly more!) free transportation option depending on where your resort is located. 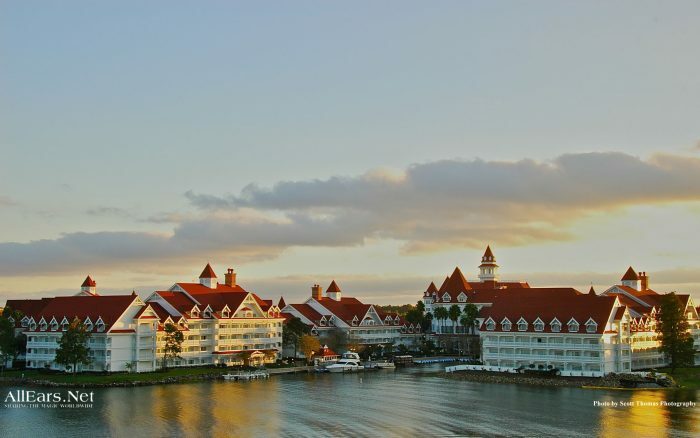 Disney buses are free and easy to use, but with some resorts you can also take advantage of the monorail as well as boat launches. Pretty soon you’ll even be able to take Disney’s Skyliner gondola for even easier resort access. For a hassle-free, direct option, Uber and Lyft are a great choice. No messing with reservations, parking, or mass transportation. Ubers and Lyfts will pick you up wherever you are and drop you at the entry of whichever resort you’re hoping to visit. While this option has a few more steps involved, it’s completely free (and everyone loves free, right?!). If you are staying off Disney property but still want the free option of a great fireworks view (without a dining reservation), you can always take advantage of the free parking at Disney Springs and then use the free Disney bus transportation to get to the resort you want to go to. It’s a great excuse to make a night of it with some shopping at Disney Springs, a fireworks show, and then maybe a treat after. After parking at Disney Springs just make your way over to the Disney bus terminals. Where do you like to watch the fireworks from? Drop us a line below! You should warn people to stay away from the water at your suggested viewing locations. Why, is Gatorland missing another resident?